Bring out your tinfoil hats and your crazy timelines, because week 8 of the NA LCS Summer is here. This is where every team’s playoff hopes are decided. Some teams are still in control of their destinies. Some will be relying on others to lose for a chance to progress. We are getting towards the end of the NA LCS regular season so every game matters. If you would like a recap of Week 7 we have it right here. Caitlyn’s strength is that she can effectively take down the enemy turret fast. Patch 8.15 has not hit the professional scene yet, but it looks like Caitlyn will improve in 8.14. 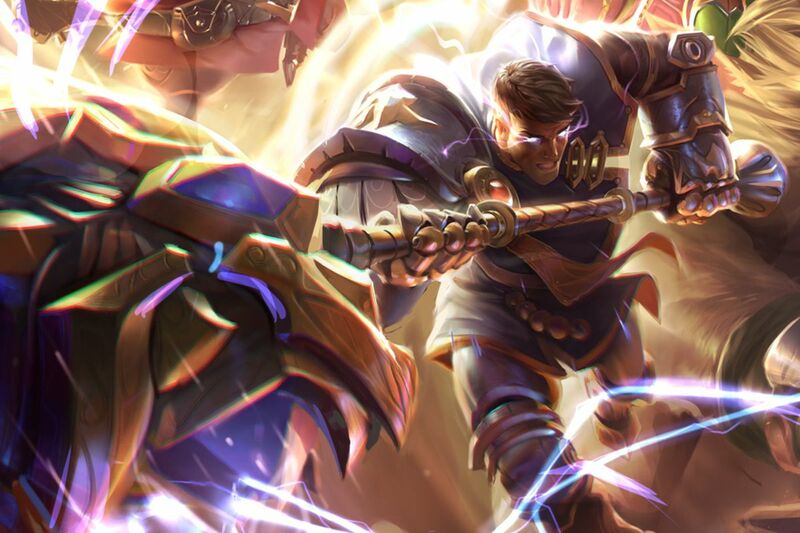 Aside from receiving some buffs in her passive in the 8.13 hotfix, the Stormrazor buffs and several critical strike chance-based items seem to have put a lot of frontloaded damage into Caitlyn. She is always good for extremely fast turret taking due to her superior range and wave clear. Her problem though is the midgame. Getting a Caitlyn with a Stormrazor and a Zeal item to a point where she has an Infinity Edge would take a while. In addition, after the outer ring of turrets has been taken, she has difficulty setting up her traps. She could also be easily killed if caught in between rotations. Teams with a focus on the early game should look to prioritize a Caitlyn pick and have an insurance policy in case the game gets dragged out. Leblanc might be in a state of being able to be blind picked again. This has been coming for a while now. Leblanc has been given her pre-reworked kit back some time ago, so why is she a recommended pick only now? First, most of those in the small marksman pool in the metagame right now are rather immobile— we have Varus, Caitlyn, Quinn, and Xayah. The only mobile marksmen that are viable right now are Ezreal and Kai’sa. This means that if the backline would most likely be one that would not be able to escape easily, they could be easily targeted and burst down by a Leblanc. Leblanc could easily have lane priority once she completes her Luden’s Echo. She could clear minion waves with her W, and her R + W. Because of this, she is able to roam first, which means that she could punish a pushing lane. In a siege, Leblanc’s target selection can be very useful. If she is able to get access to an enemy carry, she can prevent the enemy team from responding to her team’s siege. In addition, Leblanc also does well on a side lane since she is capable of clearing minion waves swiftly. However, it is not the same efficacy that her old reworked kit used to have in a side lane. Also, if Leblanc is caught, she can be very slippery and could buy a lot of time for her team. Is this the time to put the NA Jayce memes to rest? Everyone knows the memes about Jayce. However, if a team’s desired game plan is to snowball off of the early game and take structures in a swift manner then Jayce is the best pick. Jayce can snowball the game out of the enemy team’s control once he gets ahead. Jayce is one of the most oppressive lane bullies in the top lane. He can excel in 1v1 if he is not paid attention to by the enemy jungler. If he’s ahead in the early game, he is one of the best champions in a 1-3-1 or a 4-1 map play. With Mountain Drakes, Jayce can topple structures easily. In a siege, Jayce can also excel with the amount of poke damage a Shockblast through an Acceleration Gate can do. In a team fight, this champion is no slouch. He can burst down a target with 1 spell rotation, or clean up stragglers. This might be the split where the NA Jayce memes are put to bed. 100 Thieves is a team that has been constantly at the top, despite roster changes. They are not the most entertaining team to watch. They are risk averse and like to play the odds. Currently tied with Echo Fox for third, a bye into the semi-final is just what they need. Because of their reluctance to make risky plays, if they are behind in the early game, they have a good chance of not making it back. In addition, even in games where they are ahead, they do not press their advantage to secure the victory. One of the main concerns for this team coming into patch 8.14 was that they would start falling down because of the nerfs to the gold funneling strategy. And while there are still issues to iron out, they have kept a similar level as when gold funneling did not exist. The star of this team is Kim “Ssumday” Chan-ho, their top laner. He has saved the team from several perilous situations and has made the difference when it mattered. He has singlehandedly taken control of the games. The problem with Ssumday is that the team does not play much around him. He has had to carry performances but he is rarely put on carries. He is usually on tanks and this proves to be their undoing at times. The team usually plays around their bottom lane. Cody “Cody Sun” Sun always steps up as the main carry of the team when they expect him to. Behind him is the veteran playmaker and shot-caller Zaqueri “Aphromoo” Black, whose roams and vision setups always give advantages to the team. If the bottom lane fails at laning phase, then most likely the team will lose. For sure, 100 Thieves is a playoff team, but we don’t know just yet where they will be in the postseason. Can OpTIc make it to playoffs this time? OpTic Gaming’s five-win streak was ended by Clutch Gaming last week. Currently sitting in the middle of the pack. However, they have yet to face Team Liquid, Echo Fox, TSM and 100 Thieves. They could easily lose all their remaining games, but past performances indicate that they still stand a chance. The team has been moving together since giving Niship “Dhokla” Doshi more room to play to his strengths. Terry “Big” Chuong’s shot-calling has been immensely useful for the team’s mid to late game macro as well. Matthew “Akaadian” Higginbotham’s aggression and intelligent pathing has netted the team great advantages in the early game. Since the current marksman meta is mostly a utility AD Carry meta, Noh “Arrow” Dong-hyeon is provided more chances to shine. His performances on Jhin and Ashe in the past have been some of the best in the world. Since Arrow is more of a teamfighting AD Carry than a lane-focused one, the current metagame just pads his advantage further. Tristan “PowerOfEvil” Schrage has always been the star carry of his team in the mid lane. His eccentric champion pool is difficult to draft against. In addition, they have always baited particular picks that other teams may consider to be strong, only for them to present a counter. For OpTIc Gaming to make it, they must prepare and exhibit more of the macro that they showed in past weeks, and not the impatience that they had earlier in the split. Sneaky must hold his own against Doublelift in lane. Clutch Gaming’s fate is no longer in their hands. They currently stand at a record of 5-9, but they do not have the most difficult teams to face either. In order for this team to make it to playoffs, the teams in the middle of the pack need to lose most of their games. The team has not been doing well in general. Fabian “Febiven” Diepstraten has not been the usual great carry for the team. Additionally, their bottom lane, with Apollo “Apollo” Price and Nickolas “Hakuho” Surgent has not been performing well. Hakuho hasn’t put in the usual playmaking champions like his historic Thresh, and because of this Apollo has not been able to capitalize on advantages that Hakuho used to be able to create. Nam “LirA” Tae-yoo has lost form. He missed several 50-50 smites this split. Even if the jungle champion pool favors aggressive champions, LirA has been missing opportunities in the later stages of the game. A few weeks back, the team tried to do some roster changes, but they still lost both games that week. They reverted to their initial roster, but they have let go of David “DLim” Lim. This change in coaching staff might not do them any favors at this stage of the split. The team will need to improve for a chance at the playoffs. This is a match that will determine who will be taking second place. I predict Echo Fox to take this match. Since Echo Fox was at the blue side when they faced in week five, meaning they would be at the red for this one. At a disadvantage in the drafting phase due to the bans of Aatrox and Taliyah. They would also be able to get counter picks. Echo Fox could use the red side advantage to pick a winning matchup for either Heo “Huni” Seung-hoon in the top lane or Andy “Smoothie” Ta in the bottom lane. 100 Thieves will probably prize Trundle as the first pick for Andy “AnDa” Hoang, which means that Joshua “Dardoch” Hartnett could have the freedom to be on a pick like Kindred or Graves. The bottom lane will no longer be a problem for Echo Fox, which means that Lawrence “Lost” Hui and Smoothie would be able to hold their own against Cody Sun and Aphromoo. Ryu “Ryu” Sang-wook is almost a non-interactive laner who seeks to be on a pick that facilitates fights or helps his teammates get ahead. He will most likely be on Orianna or Galio. Tanner “Damonte” Damonte will almost surely be on a lane-dominant pick like Syndra or Zoe, but he has played Galio before. This means that Echo Fox could look to take it away from 100 Thieves. If the Echo Fox bottom lane ends laning phase in an even state, and pick their fights intelligently, they would surely win. This is a match that will show the true place of Cloud9 in the North American LCS. The last time these two teams faced each other, Cloud9 took the win with Eric “Licorice” Ritchie’s carry performance on the Poppy. This was in the same week that the team first put Robert “Blaber” Huang on the roster. Team Liquid form since then has been patchy. Both teams are looking to prove themselves. Cloud9 wants to preserve its record of going to Worlds since the team’s inception, and Team Liquid wants to establish dominance in the LCS. I predict Cloud9 to take this match once again. They will look to play off of Blaber’s aggression. They might pick a Kindred or a Graves. Nicolaj “Jensen” Jensen has gotten better at accommodating aggressive junglers, so he could easily be on a pick that could rotate first and backup Blaber. Jake “Xmithie” Puchero’s veteran experience might also provide a problem. Tristan “Zeyzal” Stidam will need to provide protective vision for him. Licorice has always done well against Jung “Impact” Eon-yeong, which means that even if Impact gets a favorable matchup against Licorice, it might not be enough. The problem is Impact’s roams and teleports. He is spot on in his plays to influence other parts of the map, which is a problem area for Licorice so far. Their problem lies in the bottom lane. While Zachary “Sneaky” Scuderi has been a great marksman player, Yiliang “Doublelift” Peng has always been able to increase any advantages that he is able to obtain in lane. If he gets ahead, especially on a pick like the Kai’sa, it could prove disastrous for Cloud9. Which team do you think will be dominant in the 2018 NA LCS Summer Week 8? Do you agree with our predictions? Be sure to let us know in the comments section below!